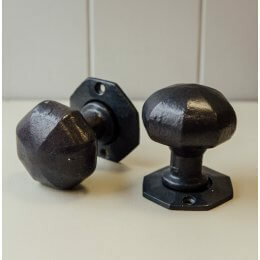 Our forged door knobs are all hand made and hand finished. 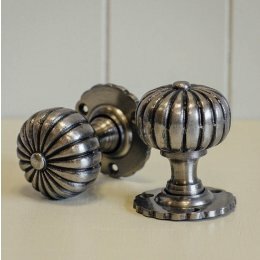 They are of a superior quality and are available in different finishes and styles ranging from the more ornate to simple and contemporary. 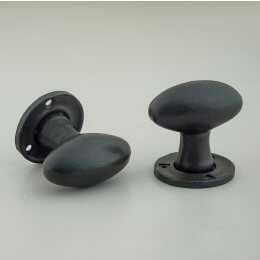 All of our forged door knobs are crafted from heavy, solid wrought iron. Forging is a process in which metal is heated and forced into shaped dies under intense pressure. Forging creates a product of superior strength, toughness and reliability, offering a product that is 250% stronger than a cast product. 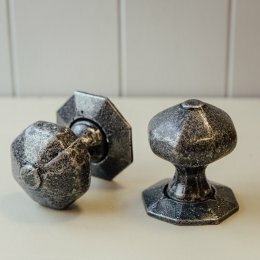 The patine finish has excellent anti-corrosive properties, making these knobs perfect for both exterior as well interior doors. 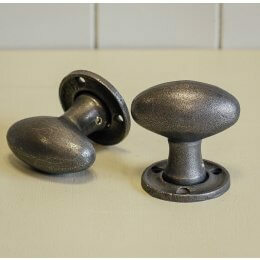 Our door knobs are suitable for use with rim and mortise locks. 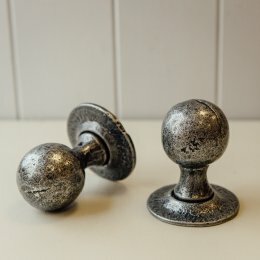 When completing interiors projects, door furniture can often be overlooked and left to last when actually this important detail can not just enhance your interior but pull different styles together ensuring a cohesive, beautifully finished home. 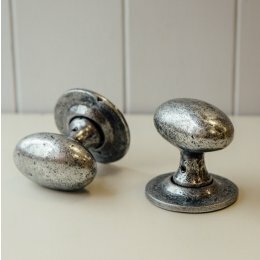 As with all door knobs and handles, not only must they be functional and look aesthetically beautiful, but ensure the quality is of a high standard and they'll last a very long time. 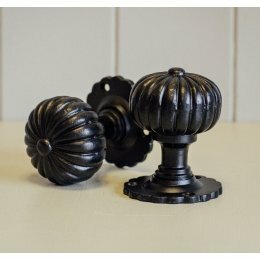 Choose from Pewter, Black Waxed and Patine finishes. 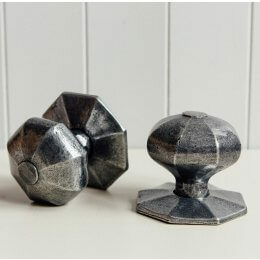 Our styles include octagonal, oval, round, swirl and flower.